Below you will find what a typical daily schedule is for our ACCESS (ESL/IEP) students. Students attend classes Monday through Friday. For academic students, classes are usually full, so finding classes to take is always difficult, and sometimes impossible. As immigration requires that you have a certain number of credit hours each semester, taking below the minimum requirement is not an option. Some students end up taking classes that are not related to their program just to meet this immigration regulation. Sometimes professors will not let you into a class late, even though you are willing to "catch up." This makes the selection of classes even more difficult. The last day to add classes is usually one week after classes begin. Housing is often a problem, because late arrivals will not have the best selection. The dormitories are usually full, and a late placement with a roommate could create problems. Students who live off campus will be on their own looking for housing, as we can only provide assistance during our orientation week. We make arrangements to pick students up at the airport during the days before orientation. However, late arrivals will need to make their own arrangements, and the cost of a cab or private driving service can range from $150 to $200. Late arriving students have missed orientation. Our orientation provides students with valuable information, and helps a student to be more knowledgeable about their immigration obligations, their studies, and Ashland University. It also gives them a chance to meet other new international students and to form friendships. Students who miss orientation are still charged the $100 orientation fee. The I-20 document has an expiry date on it, so late arrivals require additional documentation in order to make entry to the United States possible. The officer at the port of entry (airport) will make the final decision as to whether they will allow the student to enter the United States. The cost of the airline ticket is often higher because a student has not been able to plan in advance, and must take the first available flight. Students who arrive late often do not do as well during their first semester. The late arrival has caused stress (see all of the reasons above), and many students become frustrated and perform poorly in their studies. If we decide that a student can arrive late, then he or she must make the decision as to whether he/she can overcome all of the obstacles above. We do not allow students to arrive more than a week after classes have started. Submit the required documentation directly to the department (you may contact them directly if you have any questions). Note that you will not be able to apply online unless you have a Social Security number. Request for evidence of English Proficiency (IELTS score of 7.0; iBT score of 84.) Conditional admission (ESL first) is not provided for this program. GPA equivalent calculation if you are submitting transcripts from outside of the United States (certified copies or originals are required). Information about your current visa status if you are currently in the United States (copy of passport, visa or green card. If you are planning to apply for an F-1 visa, then a bank statement indicating that you have enough funds for the first year of study is also required. Your file will then be returned to the Doctorate department for admissions consideration by the Graduate School and the program. If you require an I-20 for the F-1 visa, our office will issue that for you. There are fast food restaurants within walking distance of campus, and a number of regular restaurants in the area. As well as the Dining Hall, Ashland University also has a food court, called the Eagle's Nest. Called "convo," Ashland University's Dining Services has won many awards. The university requires undergraduate students who live on campus to purchase meal plans. Graduate students who are living in residence halls may elect not to join the university's meal plan. Students living off campus may also purchase meals plans, which includes 19 meals per week ($2,165). Students and guests are also welcome for breakfast, lunch or supper paying on a per meal basis. "Convo" has limited operating hours during school breaks. CONVO is all you can eat. Kosher and Halal food diets can be accommodated, vegetarian; link to weekly menu. Spices will not be the same. For newly arriving international students the ISS office will provide free transportation services to bring students to get their first supplies. There is a supermarket within walking distance of the university where all kinds of food items can be purchased. Also, a pharmacy is located within walking distance. There are a number of discount department stores in Ashland, and large shopping malls and outlet malls in nearby cities. For newly arriving international students, the ISS office will arrange to pick you up from the Cleveland Hopkins International Airport during Orientation Week. Please see your acceptance package for the details. You can also use the limousine service at the airport, which usually costs about $ 85-100. A reservation is required and can be made by calling (419) 747-5959. For travel around town there is a private taxi service that will transport students anywhere in the area for a set fee. For taxi service call Ashland Transit at 419-207-8240. For travel in Ohio or to other States students can use the AMTRAK train system (1-800-872-7245) or Greyhound Bus Lines (1-800-231-2222). There are three airports within driving distance of the university: Cleveland Hopkins (CLE), Akron/Canton (CAK) and Columbus (CMH). When checking for flights, please check all three airports as prices can vary by location and/or dates. Most students who have cars are very willing to help other international students without cars. Housing and shopping is available within walking distance of campus. If you have not already done so, please fill out the Enrollment Confirmation form. If you are arriving during our scheduled shuttle times, please collect your luggage and wait inside at Door #2 in the Baggage claim area. A staff member will be there to greet you holding a yellow sign. The drive from the Cleveland Airport is approximately 1 hour. Arriving Early is okay, but we can only provide airport pick up during our scheduled times. The cost of a cab is approximately $150 - $200. Arriving Late is not recommended. Please read our reasons why. Temporary Housing: If you are over the age of 22 and plan to live off campus, you will be placed in temporary housing at the Surrey Inn ($50 per night per room for one person, $235 per week). Breakfast is included, and you may reduce your expenses by electing to share a room with another person of the same gender. Off-Campus Housing: During Orientation Week you will be provided with information on housing available nearby the university, as well as help with securing an apartment. On-Campus Housing: Please review the Residence Life website get helpful information. Remember that all students under the age of 22 must live on campus, and the purchase of a meal plan for campus residents is mandatory. If you would like us to supply you with bed sheets, towels and a pillow upon your arrival, please indicate this on your Enrollment Confirmation form. The cost is $50. We will be providing information sessions on adjusting to university, academic life and the American culture. Other topics include immigration, social activities and finding work on campus. There is opportunity for a campus tours and assistance with opening a bank account, getting a cell phone if desired, and shopping for basic necessities. Ashland University offers you seven modern residence halls on campus, each only a few minutes from all the campus facilities. You will have a residence hall room reserved for you according to the preferences you mark on the application form or on the housing preference card. International/ACCESS students live in the same residence halls with American students. Residence hall rooms are available year round. Except in summer terms, it is usually possible to live with American roommates. You will have a variety and plenty of delicious food to eat in the award-winning Convo. This buffet-style cafeteria and fast-food Eagle's Nest are for students living on-campus as part of the meal plan. Others may eat there, too, for a reasonable price. On-campus housing for married students is not provided. However, moderately priced off-campus housing is available for married students. Other students with special needs may also choose to live off campus. International students are permitted to stay on campus during breaks for an additional fee. Because so many of the Ashland University students live on-campus, there is a very active social and activity schedule. There is always something educational, exciting, and fun for students to be involved in. To view each residence hall, please visit the Residence Life page. On-Campus Housing: If you are an undergraduate student under 22 years old you are required to stay on-campus in a dormitory. All on-campus housing arrangements are dealt with by the office of Residence Life. You may make a petition to move off-campus with this office under special circumstances. Your acceptance package will contain a housing form. If you are a graduate student, you are not required to live on-campus. Temporary Housing for Graduate Students (or undergraduate students over the age of 22): When you arrive to begin your studies we will place you in temporary housing. Currently we are using the Surrey Inn. If desired and available, a roommate can be assigned, and the cost of the room can be shared. Off-Campus Housing for Graduate Students (or undergraduate students over the age of 22): There are a number of options available for off-campus housing. The ISS office will have information available on rooming houses that welcome international students. Rentals of apartments or houses can be done by checking the classified advertisements in the local newspaper, or by working with a real estate office. The ISS office has a listing of rental agencies and buildings, which we will provide upon your arrival. In general, you might expect to pay about $250.00 per month at a rooming house, and $350.00 to $500.00 for an apartment. The rental of a home can vary from $600.00 to over $1,000.00 per month. In almost all cases, you would also be expected to pay additional for utilities. Academic Credential Evaluation: Documents are reviewed for their equivalence to the US educational system, grade point average and, if applicable, transfer credit. Arrival & Registration: Assistance is provided with registration for classes, getting an ID card, opening a bank account, obtaining a cell phone and looking, if needed, for off campus housing. TB Testing also takes place during this time. Orientations for New Students: Provided in the fall and spring semesters covering immigration regulations, the US academic system, tips for successful studying, culture shock, and living in Ashland. Throughout the year students will also have the opportunity to attend workshops providing information on work visas (H-1B), career development and other topics of interest. Academic Advising: The ISS office creates a schedule for the student's first semester. After, students will have an Academic Advisor from their specific major. ISS is always available to provide support and suggestions for resources for students. Social Security and Employment: ISS helps students complete the paperwork needed to work on or off campus. English Language Classes: Provided for beginners through intermediate language learners through the ACCESS program, and English testing can be obtained through this department. The International Club: Provides social and cultural activities throughout the year, as well as leadership opportunities for students (stipends are available for each of the leadership positions). Income Tax Preparation Assistance: Takes place from mid-February to mid-April each year. Immigration advising: ISS has the authorization to issue both the F-1 visa for students, and the J-visa for visiting professors and students (with significant institutional scholarships). We also process H-IB visas for new international faculty at Ashland University. Anticipate that the interview will be conducted in English and not in your native language, unless you are applying to study ESL. One suggestion is to practice English conversation with a native speaker before the interview. Keep in mind that all consular officers are under considerable time pressure to conduct a quick and efficient interview. They must make a decision, for the most part, on the impressions they form during the first minute or two of the interview. Consequently, what you say first and the initial impression you create are critical to your success. Keep your answers to the officer's questions short and to the point. Be honest! Do not try to hide information from the officer. Know why you chose the educational institution from which you have the I-20 or DS-2019. Know about that institution, where it is located, and how long it has been in the world of education. Perhaps most important is to have a long-range education plan which takes you back to your own country after completing your education in the U.S. You need to convince the visa officer that you have a plan which makes sense and is logical. Be sure that you have the liquid financial support you need to cover the first years educational expenses as well as a guarantee of funds to complete your program in the U.S.
Do not bring family members with you to the interview. The officer wants to interview you, not your family. A negative impression is created if you are not prepared to speak on your own behalf. Maintain a positive attitude. Do not engage the consular officer in an argument. If you are denied a student visa, ask the officer for a list of documents he/she would suggest you bring in order to overcome the refusal and try to get in writing the reason you were denied. Do not concede, under any circumstance, that you intend to work in the U.S. after completing your studies. While many students do work off campus during their studies, this work is incidental to their main purpose of completing their education. You will have the opportunity to apply for 12 months of Optional Practical Training work after you complete your degree. If your spouse is also applying for an accompanying F-2 visa, be aware that F-2 dependents cannot under any circumstances be employed in the U.S. If asked, be prepared to address what your spouse intends to do with his/her time while in the U.S. Volunteer work and attending school part-time, if not leading to a degree, are permitted activities. If your spouse and children are remaining behind in your country, be prepared to address how they will support themselves in your absence. This can be an especially tricky area if you are the primary source of income for your family. If the consular officer gains the impression that your family will need you to remit money from the U.S. in order to support itself, your student visa application will almost certainly be denied. Ashland University does not require the GMAT or GRE tests for international students who wish to enter their master degree program. Be sure you have a letter from Ashland University explaining this for the visa officer. We would like to credit Gerald A. Wunsch, Esq., 1997, then a member of the Consular Issues Working Group, and a former U.S. Consular Officer in Mexico, Suriname, and the Netherlands, and Martha Wailes of Indiana University for their contributions to the above information. For the complete text of this document, please visit the NAFSA website. ALSO: Make sure all the information on your I-20 is correct. Make sure that you know all that you can about Ashland University. Bring adequate financial support information. If you are denied a visa, please refer to the NAFSA: Association of International Educators website to find out more about the fair treatment of visa applicants. Planning is the key. Think several weeks in advance about what you will need for your trip and assemble it. That way, you will not be stressed out at the last minute. Visit the ISS office to have your I-20 signed if the last time it was signed was more than a year ago. Do this several days before you travel. Do not wait until the last minute. 1. Check the visa (for the United States) in your passport to learn if it has expired. If so, you will have to apply at a US Embassy or Consulate to have it renewed before returning to the United States. 2. If you have changed your visa status to F-1 in the United States, you will have to apply for an F-1 visa at a US Embassy or Consulate before returning to the United States. Remember, you are currently in F-1 status but you do not have an F-1 visa. If you need to get your F-1 visa renewed or if you need to apply for an F-1 visa, you should contact the US Embassy/Consulate in the country where you are traveling BEFORE you travel to learn how long the process may take. Warning: Currently, it often takes a few weeks to apply for a visa so you may need to take the entire term as a vacation. Also, if possible, you may want to make an appointment with the US Embassy in the country you're traveling to BEFORE you leave the U.S. We recommend this because it often takes 3-4 weeks just to get an appointment. Also, obtain a bona-fide letter from the ISS office and a copy of your transcript from the Registrars office. 3. If you are traveling outside of the United States to a country other than your home country, call the embassy of that country to learn if you need a visa to enter that country. If so, ask what the requirements, cost, and timeframe are to apply for a visa. Keep in mind that it often takes 2-3 weeks to process a visa application. If you are traveling in the United States, make sure to carry your original passport and I-20 with you at all times. If you are stopped by any government official (i.e., police, border patrols, immigration officers, etc. ), you will be required to show them your original documents. HAVE A SAFE TRIP and A GREAT TIME! We look forward to welcoming you back to Ashland University! If you are applying as a transfer student it is very helpful to provide course descriptions for the classes listed on your transcript. We will review the classes you have taken and the degree you are considering, and give you information on what courses you will need to take to complete your degree, and how long it will take. 1) No credit or transfer is given for English composition, literature or language classes. If your TOEFL score is at or above 550 PBT, 213 CBT or 75 iBT then general elective credit may be granted at the discretion of the Registrar's office for suitable courses. Exemptions are not permitted. 2) Only classes with a grade of C- or higher can be considered for transfer credit. 3) Students entering with 30-59 transferable hours must take at least two Tier 2 courses at Ashland and students entering with 60 transferable hours are required to take at least one Tier 2 course, even if all Core requirements have been met through courses taken at another institution. 4) Transfer students must fulfill all Institutional Degree Core Requirements. May earn a second degree or major in a different field of study. Do not have to fulfill the Institutional Degree Requirements. The requirement of a minor may be waived if sufficient course work is submitted for 2nd degree or associate degree students. 6) If your major is “Comprehensive," then a minor is not required. We often use the estimate of 15 hours for a minor, but what you choose may have more or less. Generally, most Bachelor of Arts degrees (B.A.) require a minor, and most Bachelor of Science (BSc) do not. 7) The academic year has two semesters: Fall: August to December, Spring: January to May. Ashland University also offers Summer Sessions of 4-6 weeks in duration. The average number of hours a student takes per semester is 16. The minimum to be a full-time student is 12. The maximum number included in tuition fees is 18. 128 credits are required to earn a undergraduate/Bachelor's degree. 9) If a transfer student began his/her original program more than 5 years before matriculation at Ashland University, then the current catalog upon matriculation will be used. In all cases the current core requirements will be used. 10) Cambridge A Levels: Transfer credit may be available for A level passes. One year's credit for passes at A, B or C. One semester's credit for passes at D or E.
An official evaluation will be completed by the Registrar during your first semester at Ashland University, and only with official, notarized or certified transcript While every effort will be made to honor the information provided here, it is subject to change and the Registrar's approval. Since luggage sometimes gets delayed, bring on the plane with you a small bag that includes a change of clothes and your personal items. And always carry with you your identification documents and money, and any valuable items, such as a laptop computer. We also recommend that you bring some convenience foods that are familiar to you, such as soup mixes, dried fruits, nuts, bread or crackers. These familiar items will come in handy during the times that you are hungry and getting over jetlag. When you first arrive on campus you will be expected to register and pay for classes so have traveler's checks or a credit card. You can also prearrange to have funds wire transferred from your bank; please contact us for more information about this at: iss-arrivals@ashland.edu. The ISS office will help you during your first few days with registering for classes, opening a bank account and doing some simple shopping at the store. There is no dress code at Ashland University. Students dress very casually and can wear whatever they would like to. Informal clothes such as college sweatshirts, t-shirts, jeans, blouses, skirts and shorts are acceptable. Seasonal clothing can be bought in Ohio at a reasonable price. It is also a good idea to bring some dress/business clothes with you for school events and job interviews. We would also like you to bring your country's native or traditional dress to wear (or have someone else wear) in our annual Fashion Show. There is a saying in Ohio that "if you don't like the weather, just wait a couple of hours and it will change." So, while we experience the four seasons, you never know what might happen! Listed below are some items that are good for each season (some items can be worn in all seasons). Spring temperatures range from 4 to 15 degrees Celsius (40-60 degrees Fahrenheit) with lots of warm days with sporadic rain showers. It is helpful to have a raincoat or umbrella, and a light-weight jacket. Curricular Practical Training (CPT) is the immigration program that will help you obtain permission to work off campus in a job related to your field of study, or to participate in a paid internship. You cannot participate in CPT until you have been in enrolled full time in legal F-1 status (at any U.S. school) for at least one academic year (9 months). ESL students are not eligible. Those students who have a required internship/work experience with their program are exempt from the above rule. CPT is limited to Part-time (less than 20 hours per week) during Fall and Spring semesters. You still must be a full-time student during the fall and spring semesters. CPT must be done for academic credit, even if you are participating during the summer months. CPT can be required for the degree program, or optional. CPT requires an academic advisor, registration for a course, and will carry a grade. The work experience must be related to your major field of study. CPT can be approved for one year for part-time work (renewable), and for up to one year of full-time work. 1) First, find a job! You can start by looking in the newspaper (both the Ashland Times Gazette and the Mansfield News Journal are available on the main floor of the library and online). Career Services Center can provide information on internships and preparing a resume. You will also want to talk to your academic advisor to make sure that you can get obtain academic credit for the type of job you might be interested in. 2) If any prospective employers are not sure about your authorization to work in the United States, please give them this letter: PROSPECTIVE EMPLOYER GUIDELINES. Register for the course, and obtain proof of registration. 4) Bring the employer letter and proof of registration to Scott Parillo in the ISS office. He will need at least 24 hours to obtain CPT approval for you. He cannot do so until you have given him these three documents, and you cannot start working until CPT has been approved. Please note that you must have approval for Curricular Practical Training BEFORE you can begin work. Not doing so puts you out of status, which then makes it impossible for us to approve you for CPT. Economic Hardship is only granted if financial circumstances have changed. An F-1 student can be approved for 12 MONTHS of Economic Hardship at one time, and can reapply for additional periods. Economic Hardship is available to students who have been enrolled on a full-time basis in F-1 status for at least nine months. During the period that the Economic Hardship is approved for, a student can work part-time during the Fall or Spring semesters, and full-time during the Summer semester and other vacation periods. The job can be of any type; it does not have to be related to your course of study. Economic Hardship is automatically terminated if you transfer to another school. 2. Your passport (be sure the white I-94 card is in your passport). 3. Two recent passport-style photographs. Please note that the passport photos cannot be more than six months old and must be 2" x 2" in size. If you try to submit a photo that does not meet these requirements, it can be rejected and delay your application. 4. Check for $340.00 made payable to USCIS (U.S. Citizenship & Immigration Services). 6. A letter describing the unforeseen hardship situation and why sufficient employment is not available on campus. 7. Documentation, if available, that supports your letter (like a letter from your sponsor, or proof that your currency has devalued). During this meeting you will complete the application. In about two weeks the USCIS will send confirmation that the application has been received. The Employment Authorization Card (EAD) should be received in about eight to twelve weeks after that. Passport photos must be 2" x 2" and not more than six months old. Please note that the information provided on this page is just that, information. Should you have further questions you should consider contacting an immigration attorney or visiting the USCIS website. The International Student Services personnel do not have the authority, or experience, to advise you on matters that do not pertain to F or J visas. There are a number of employer sponsored visas, which cannot be obtained by an individual. The most usual one that a professional would require is the H-1B; it is for highly skilled workers, and requires at least a bachelor's degree to be eligible. For the F-1 student, the most common route to an H-1B visa is while working for an employer under the Optional Practical Training program. Some employers will have departments or attorneys that will complete the application process, other employers may ask the employee to complete the paperwork on their behalf. Note that there are two different types of application processes, one if you are already in the U.S. and marrying a U.S. Citizen, and another if you are outside of the country, and wanting to enter the U.S. as the fiancee of a citizen. You cannot apply for a green card with F-1 student visa status, unless you have some other type of sponsorship, such as an employer or family member, to help. For the different ways to obtain a green card, please visit the websites below. You must be a permanent resident before you can apply for citizenship. The length of time this might take depends of the category of permanent residency that you have. There are three airports within driving distance of the university: Cleveland Hopkins (CLE), Akron/Canton (CAK) and Columbus (CMH). Arriving Students requiring Airport pick-up must fly into Cleveland-Hopkins International Airport (CLE). $140 to Cleveland, Columbus, and Akron airport—AU students get 10% off. Car rental--$75 per hour to any cities. Master of Business Administration students on an F or J visa may obtain off-campus work experience in the United States after they have been in status (including ESL or another program) for 9 academic months. Part-time: Up to 20 hours per week. Full-time: 20 hours or more per week. After one-year of full-time CPT you are no longer eligible for OPT. Students must attend the MBA Orientation and Career Services Workshop, have their resume reviewed by Career Services, and obtain the approval of the MBA Chair before work permission will be granted. More details are on the downloadable MBAF 500I CPT Approval Form (available in ISS). Vacancies are posted on the bulletin board outside of the Financial Aid Office, 3rd floor, Founders Hall. This includes a list of both off-campus and on-campus jobs. The Career Development Center also has a webpage that lists available on-campus jobs at ashland.edu/career. International students are not eligible for the Federal Work/Study program (this is a government-funded program that reimburses universities for part of a students hourly wage). If you obtain employment, there is paperwork that must be completed at the ISS office. Please make an appointment with Scott Parillo and bring your passport and I-20. * While not guaranteed, Food Services does try to give hours to international students, and is the best place to look for work if you want to start very soon. When a vacancy exists for one of our internship positions, students who have been at the university for at least one semester are invited to apply. International Club positions offer scholarships. New officers are interviewed and chosen each spring semester, and begin their duties the following fall semester. Both international and American students are encouraged to apply. Open to any degree-level. Watch for announcements about when applications are available. Internships exist within other departments and applications are usually reviewed once per year. Any openings will be listed with Financial Aid. Resident Assistant Positions: Informational fairs are usually held around the end of the fall semesters, and applications are available at the Residence Life office (3rd Floor, Founders). Applications are usually only accepted once per year. Part-time jobs for students exist in many departments. Consult the Financial Aid bulletin board (3rd Floor, Founder's Hall) or the Career Development Center's CSO database. An F-1 student is eligible to apply for PART-TIME university employment, but only do so if you have the required qualifications. An F-1 student visa does not permit you to work in a full-time position unless it is related to your area of study and you have been approved for OPT (or the department is willing to sponsor you for a change of status to another visa). Available positions are posted outside of the Personnel office in the basement of Founder's Hall or by calling the Job Line at 419-289-7788. Make personal visits to each department, even if they do not have a job posted, and talk to others who already have a job in the department in which you are interested. This is called "networking," and will help others to know that you are looking for work. Take looking for a job on campus seriously. Dress neatly and consider making up a mini resume to take along. Get involved. This method of networking can lead to many opportunities. Volunteer, join clubs, ask your department or college for advice and leads. Read the LENI and check the bulletin board outside the ISS office. If the ISS office hears of anything, we will often let you know through one of these methods. Some sponsoring agencies do not allow their students to work while studying, please check with your agency first if this applies to you. In order to start working on campus, you must have applied for (or received) a Social Security Number. Check with the ISS office for more information. The payroll department will deduct Federal, State and Local (Ashland) taxes automatically from your pay check. You SHOULD NOT have any taxes deducted under the MEDI or FICA categories. If so, please visit the Business Office to have this corrected. You will have to file a tax return in the spring semester (deadline is April 15). The ISS office will provide workshops to assist you with this important task. Immigration regulations for F-1 and J-1 students state that only one 3 credit hour class can be used towards the full-time study requirement. You can take more than one online class as long as you are meeting the full-time requirement below. Undergraduate Students: Full-time requirement is 12 credit hours per semester, so at least 9 credit hours must be taken in a traditional, on-campus class. MBA and MEd: Full-time requirement is 6 credit hours per semester, so at least 3 credit hours must be taken in a traditional, on-campus. Hybrid classes must meet for a total of 45 hours during the course of the semester to be considered as meeting the full-time requirement. You may take more than one hybrid class to make up for the 45 hours. Note that Ashland University's MBA program (effective Fall 2011) has stated that student's must live within commuting distance of the main campus or program center (reasonable commuting distance is defined as 35 miles). During your last semester of studies you may have a minimum of one class (whether it is hybrid, online or in the classroom), if it is the only class that you need to complete your degree requirements. You must notify ISS of this type of registration so that we can report it to immigration. 1) One traditional class and one or more online classes. 3) One traditional class and one or more hybrid classes. An F-1 student is eligible for a MAXIMUM OF 12 MONTHS of OPT. Students in English language training are not eligible for OPT. While on optional practical training, the former student must still report address changes and employment information to Ashland University. OPT is available to students who have been enrolled on a full-time basis in F-1 status for at least nine months. Students may apply for OPT up to 90 days prior to completion of studies or up to 60 days after (We recommend that you apply at the beginning of your last semester.) Authorization to engage in OPT is automatically terminated when the student transfers to another school or begins study at another educational level. Two recent passport-style photos. The passport photos cannot be more than 6 months old, and must be 2" x 2" in size. If you try to submit a photo that does not meet these requirements, it can be rejected and delay your application. Check for $380 made payable to U.S Department of Homeland Security. During this meeting you will complete the application. In about three weeks the USCIS will send confirmation that the application has been received. The Employment Authorization Card (EAD) should be received in about eight to twelve weeks after that. A student may not legally begin working until he/she has been issued an Employment Authorization Document (EAD card) by USCIS (even if your card is late in arriving!). You may, however, begin looking for work. Visit the Career Development office if you need help with your resume, interview skills or job-hunting. Once the application is submitted or the EAD card issued, travel outside of the country is not prohibited. However, an immigration officer may refuse you reentry if you do not have a job to return to. The post office will not forward your EAD card to a new address, and since students frequently move after graduation, we recommend that you use the ISS office as your address on the application. Students making a trip outside of the United States while on practical training after graduation will need a signature from a DSO in the ISS Office on their I-20 within the last six months for re-entry into the U.S. If you have received your EAD card and have a job, you may leave the U.S., but when returning should present a letter of employment from the present employer. You have until the end of the practical training period marked on the EAD, plus 60 days, to stay in the U.S if you have not applied for a change of status to another valid visa. Other visas could be an H or B visa (you cannot work on a B visa). While you are on OPT, health insurance is still available through Ashland University. Contact the ISS office for information. Any current insurance policies expire on August 12th of each year. It is your responsibility to make sure that you have health insurance. Authorization to engage in OPT is automatically terminated if you transfer to another school or begins study at another educational level. While on OPT, you are still on an F-1 visa with Ashland University. Therefore, you must notify our office of any address or employment changes. In other words, let us know where you are and what you are doing! If you need to renew your driver's license, you will need to have the EAD card with you so that the expiry date of your license can be matched to the expiry date on the EAD card. They will not be able to renew the license until you have the card to show them. Otherwise, the Bureau of Motor Vehicles will only be able to renew the license up to the "complete date" on the I-20. The driver's license cannot be renewed beyond the expiry date on the EAD card, even though you do not have to leave the country for another 60 days. Once your employment period begins, you will have 90 days to get a job (and report this information to ISS). After the 90 days, you must leave the country or switch to another status. If you lose your job, you can use up any of the days leftover of the 90 days to look for a new job. For example, if you found a job 30 days after the start of your OPT card, then you can have another 60 days to find another job. Recent copy of your resume. Letter outlining your immigration history (ie: how long you have been in the US) and the reason for the request. Any transcripts from studies taken in the United States (photocopies are acceptable). SEVIS is the Student and Exchange Visitor Information System that requires all colleges and universities in the US to report electronically to the United States Citizenship & Immigration Services (USCIS) information about F-1 students and J-1 students and visiting scholars. We have listed the basics below, but if you want to read the complete and legal listing of regulations, you will need to search for 8 CFR, Parts 103, 214, 248, and 274a at this link of the Federal Register. Move to a different apartment, house or dorm room. Please fill out the New Housing Report Form. Change your major or program of studies. Participate in an internship or off-campus work experience. start date of students next session. Regulations require all undergraduate students to enroll for 12 credit hours per semester, and graduate students must enroll for 6 credit hours per semester. ISS must report to SEVIS each semester whether students are full-time or part-time. Those who do not maintain a full course of study will be considered out of legal status by USCIS and must depart the US immediately. 4. temporary illness or medical condition for a period of time not to exceed an aggregate of 12 months while the student is pursuing a course of study at a particular program level. Documentation from a licensed medical doctor, doctor of osteopathy, or licensed clinical psychologist is required and must be provided for each new quarter that a student is ill.
Students must notify ISS within 10 days of an address change, which can be done at addresschange.html These address changes should also be reported to the Registrar's Office and, if you are working, to the Business Office as well. Individuals in F-2 status are no longer able to study for a degree on either a part-time or full-time basis. Students must obtain an extension of their I-20 PRIOR to the program end-date noted on their current I-20 by coming to ISS. Students who do not obtain a new I-20 prior to the program end-date violate their status. Students who change their majors can also complete the addresschange.html form to let the ISS office know; we must notify USCIS within 21 days of this event. F-1 students have a 60-day grace period following completion of study or completion of optional practical training to 1) depart the US, 2) transfer to another institution, or 3) change status. However, students who terminate their studies before completion of their academic program do NOT receive a 60-day grace period. These students MUST notify ISS BEFORE terminating studies in order to receive a 21-day grace period to depart the US. F-1 students who do not notify ISS before termination of studies receive no grace period and must leave the US immediately. Never throw away any I-20 after receiving an updated form. USCIS may request to see these forms in the future. In the remarks section of the students SEVIS Form I-20, the new school must note that the transfer has been completed, indicating the date, and returning the I-20 to the student. F-1 students may work on-campus up to 20 hours per week while school is in session, and more than 20 hours per week during breaks. F-1 students may not begin on-campus work more than 30 days prior to the actual start of classes. Other employment in the US requires recommendation or authorization by USCIS and/or ISS. Please visit these links for more information on Curricular Practical Training (CPT) and Optional Practical Training (OPT). F-1 students may make a request for reinstatement through the ISS office. F-1 students must not have been out of status for more than five months at the time of filing the request for reinstatement and not have a record of repeated or willful violations. Students and their dependents who fail to timely report a change of address (see above) are not eligible for reinstatement. Scholars must obtain an extension of their DS-2019 PRIOR to the program end date noted on their current DS-2019 by coming to the ISS office. Scholars who do not obtain a new DS-2019 prior to the program end date violate their status. After the end-date on Form DS-2019, a scholar has a 30-day grace period following completion of their program to 1) depart the US, 2) transfer to another institution, if eligible, or 3) change status, if eligible. 6. The new institution will verify the scholars participation in its program and update the scholars address with SEVIS within 30 days of the effective date of transfer, thereby acknowledging that the scholar has completed the transfer process. Scholars may request ISS to submit an electronic request for reinstatement to DOS through SEVIS. ISS must submit the initial request along with the required supporting documentation justifying the reinstatement and the required, non-refundable fee (paid by scholar), to DOS within 30 calendar days after the SEVIS submission date. Under no circumstances is reinstatement possible after 270 days. If approved, DOS will enter the approval in SEVIS, and ISS will then print the new DS-2019 and notify the scholar. Exchange visitors and their dependents who fail to timely report a change of address (see above) are not eligible for reinstatement. J-1 students holding assistantships and associateships may work on-campus up to 20 hours per week while school is in session. With prior approval from ISS, J-1 students other than those holding assistantships and associateships may work on-campus up to 20 hours per week while school is in session and more than 20 hours per week during breaks. 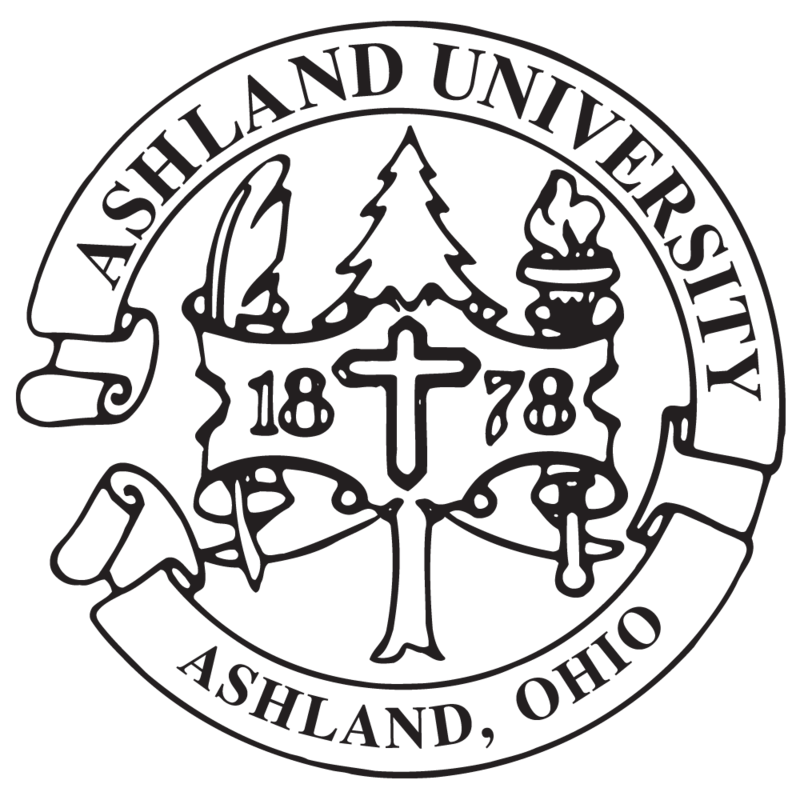 Ashland University will update the J-1 students SEVIS record to reflect the details of such employment. J-1 students may not begin on-campus work more than 30 days prior to the actual start of classes. Only J-1 students who can demonstrate to ISS serious, urgent, and unforeseen economic circumstances that have arisen since acquiring J-1 status may request authorization for off-campus employment. ISS will update the J-1 students SEVIS record to reflect the details of such employment. J-1 students remain eligible for academic training work authorization as before. However, ISS must electronically report the authorized period of academic training in SEVIS prior to the first date of employment. Cell Phones: If you do not have a SSN, you will be eligible only for a prepaid phone with most companies. Driver's License: Tell the Driver's License Bureau that you have never applied for a card, and they will be able to process your application for a license. Housing: You should be able to obtain rental housing if you can show that you have sufficient funds to pay for your rent. Telephone Service: The local company in Ashland is Verizon. They will refer you to a Customer Verification Center if you do not have an SSN number. IRS Reporting: Once a year international students, regardless of whether they have been employed or not, have to file a report with the IRS. You may file this form without an SSN. 1) After securing a job offer, please make an appointment with Scott Parillo (ext. 5631 or sparillo@ashland.edu). Not sure about looking for work? Please review our On-Campus Employment webpage. 2) At this appointment you will complete employment forms and be given a Social Security letter. The university form, and the Social Security letter, will need to be signed by your supervisor. Your supervisor will collect the university forms and return the Social Security letter to you. 3) You must apply for a Social Security card immediately. ASHLAND: The Social Security Administration visits Ashland only once a month, on the first Thursday of the month, from 10:00 AM - 1:00 PM. They use the offices of the Ashland Council on Aging, 240 E. Third Street, in downtown Ashland. MANSFIELD: Located at 1287 S. Trimble Road. Take Route 42 S (Claremont Avenue) to U.S. Route 30 W to the Trimble Road exit. Turn left onto Trimble Road and travel approximately 3.5 to 4 miles, counting 9 traffic lights. Look for the Social Security office on your left, located behind Value City and across from the Appleseed Shopping Center entrance. OTHER LOCATIONS: Check online at www.ssa.gov. Your passport and I-94 card (which should be stapled in your passport or printed from online). The Social Security letter, signed by both your supervisor and Scott Parillo. A completed Social Security application (Form SS-5), available from the International Student Services office or available from this download: http://www.ssa.gov/online/ss-5.pdf. 5) You should receive your card in the mail in approximately 2 weeks. 6) After you have received your social security number you should notify the registrar's office, your supervisor, and, if employed at Ashland University, the payroll clerk in the business office. 1) After securing a job offer, please have the supervisor complete the first half of the Social Security Letter (from ISS). 2) Have a university DSO sign the second half of the letter. 3) See steps #3 thru #6 above about applying for a Social Security Card. Open to public Monday, Tuesday, Thursday and Friday from 8:00 to 11:00. Closed Wednesday.